In this case a client fell on a stairway leading out of a Framingham restaurant. The restaurant owner had the stairway changed in a matter of days after the accident and before the client had an opportunity to consult anyone. Fortunately, the EMTs suggested she take a picture of the stairway, which she did. We sent the picture to a forensic photographer who used to work for the Los Angeles Police Department. 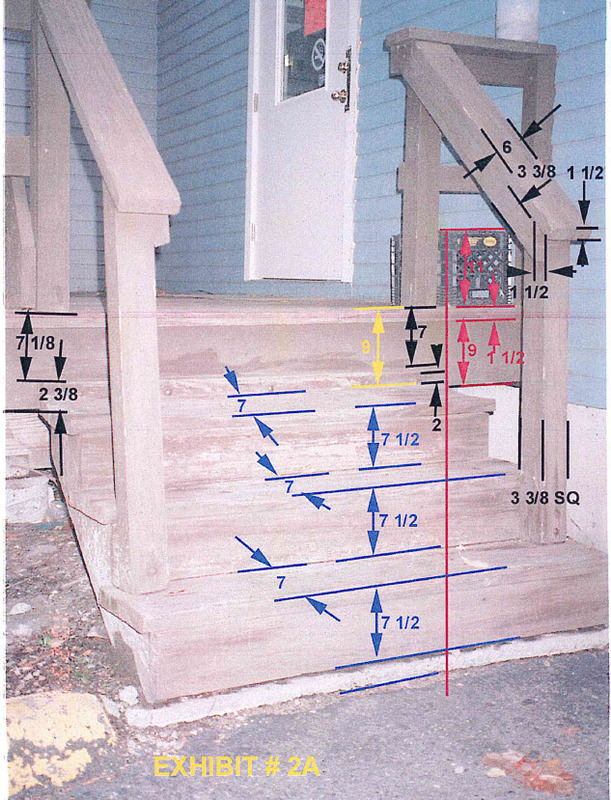 Because there were some objects in the photograph of known dimension (such as the milk carton and the siding on the building) he was able to determine the dimension of the stairs, the risers and the handrail bringing in to question the legal specifications of the stairs. This slip and fall case ultimate settled for several hundred thousand dollars, but without the photograph the our client may not have been able to obtain the compensation she needed and deserved. The stairs risers violated building code in that they were of varying heights and for the top step excessive height. The hand rail violated the Code in that it was much too wide to grip. Sometimes a picture can be worth more than 1000 words. Sometimes it can make or break your case. If you’ve been injured in an accident on someone’s premises you should always take a picture of the area where you were hurt. Conditions often change and they can change quickly. Without a photograph it is more difficult to prove your case. By way of example the following picture was used to demonstrate the slope of the floor where a client fell over a railing and was severely injured. 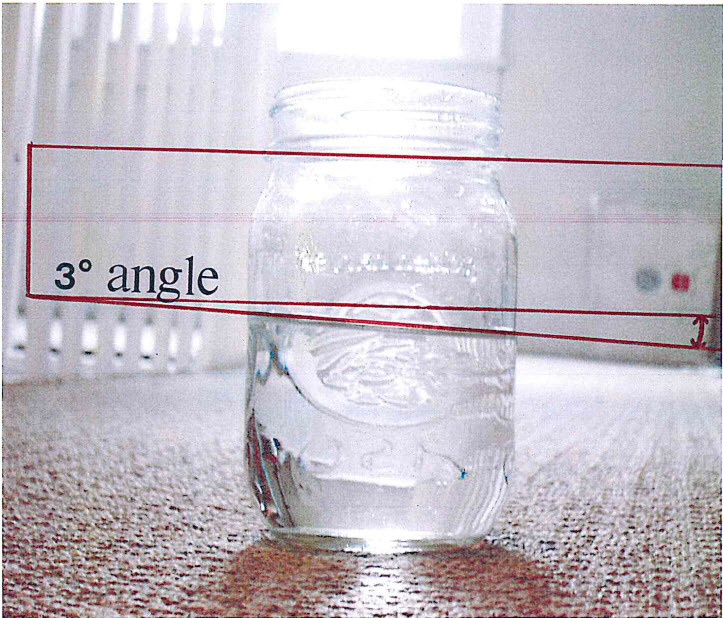 By putting some water in a glass we could measure where the water came to on the sides of the glass and determine the slope of the floor. A local police forensic photographer was retained to do the measurements.